After taking a few years to perfect their 10th studio album, the Backstreet Boys are finally ready to release ‘DNA’ out into the world. The 12-track release has landed on several 2019 lists of highly anticipated albums - including Idolator, LA Times, and Cosmopolitan. 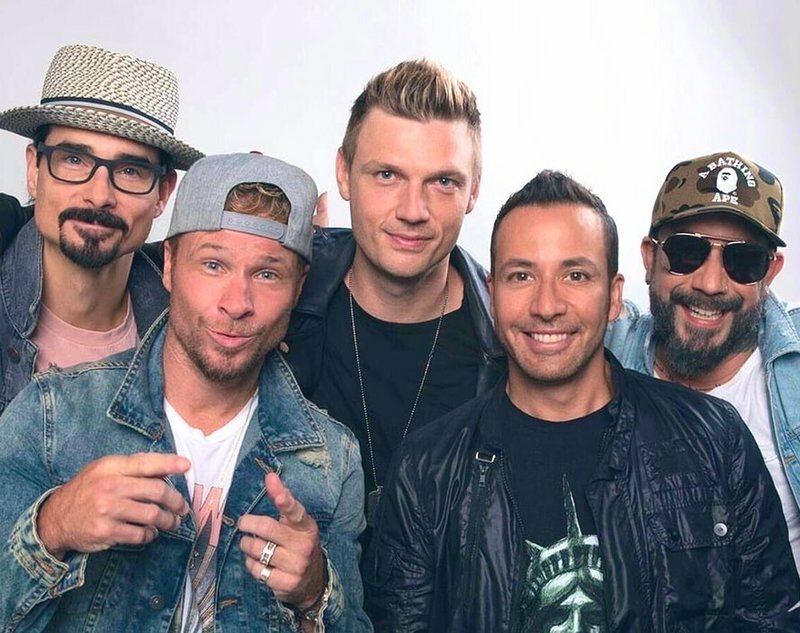 With so much going on, we wanted to take a minute to catch you up on all the things you need to know right now about what the Backstreet Boys have done, are doing, and will be doing that you can not miss out on! Don’t forget to share with a friend so they’re in the know too. - “Don’t Go Breaking My Heart”, “Chances” and “No Place” are all songs off of the upcoming album that are available for purchase, download and streaming now. While “No Place” isn’t a single for radio release, it has been steadily climbing the iTunes charts since it’s release a few weeks ago and the music video, which features the Backstreet Boys at home with their wives and children, garnered major buzz for it’s peek into a more intimate side of things. - Just before the holidays, the Boys sat down with Vevo to discuss their evolution, the highs and lows and what almost broke them apart so they could fall back together. "It's kind of crazy, because it feels like the stars are kind of aligning again for us in a way," Nick said in reflection. "Because if you think about where we came from and how we started, it was, like, a miracle that we would've met each other, that we would've bonded, that we would've connected the way we did." Watch the “self-interview” that they described as “group therapy” here. - Want to hear more from behind the scenes of ‘DNA’? How about which Backstreet Boy is the latest, the most athletic, the most stylish, the messiest, etc.? The Boys are celebrating “DNAuary” by releasing new media every Wednesday until the album release. Watch the videos here if you’re a FC member. If you’re not, you can still watch here and here. Stay tuned for more! - This week, the Boys are headed to Japan to promote ‘DNA’, which will release on January 23rd. Not only are they featured on the cover of In Rock, but they will be making a number of radio stops, a television appearance and an exclusive fan event for a very limited number of lucky fans. Make sure you’re following the Boys’ social channels for live updates! - All of this leads up to the Backstreet Boys iHeartRadio Album Release in New York City on January 25th! Kevin, Brian, AJ, Howie and Nick will all be at the iHeart Theater to celebrate the ‘DNA’ album release in the U.S. and the only way in is to win. If you’re a BSB FC member, enter here and if you’re a U.S. resident, you can enter here. If you can’t make it to New York, no worries! You can watch from anywhere in the world as the event will be live streamed worldwide at 6pm EST / 3pm PST. Find out how to watch here. - In case you missed it, the Backstreet Boys Twitter account released all of the ‘DNA’ track titles last week. You can find them here. Are you ready for new Backstreet Boys music? Tell us where you’ll be watching the album release from, which song you think you’re most excited to hear and more in the comments below!